Awesome Investment Property or Perfect Townhouse for First-Time Homeowner in the desirable SW community of Greenleaf --located across the street from Veterans Memorial Park, walking distance to Wiles Elem & Kanapaha Middle, Walgreens & Tower Rd Library and only minutes to I-75, UF and Shands/VA. 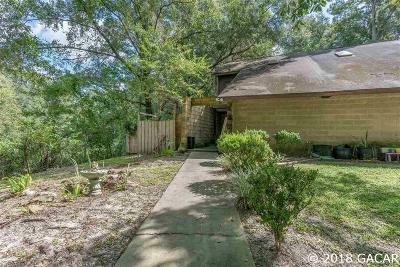 Concrete Block End Unit w/ private courtyard featuring 2 bedrooms + bonus or study & 2 full bathrooms, dining area, spacious living room overlooking fully fenced yard. Awesome home for first-time home buyer! This is a single family attached home that qualifies for VA & FHA financing. Low annual HOA fee of $90 per year! Possible for buyer to qualify for as little as 3.5% downpayment! Walking distance to public transit and less than 5 min to Tower Publix Square. Zoned for Wiles, Kanapaha Middle and Buchholz High School.